Welcome to the HeliTorque Photo Gallery. We hope you enjoy browsing the many photographs in the gallery! If you are logged in you may view all albums, vote for your favourite photos, and post comments. 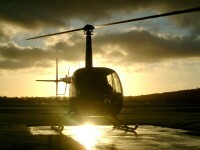 You may also contribute to the main helicopter galleries, should you have photos you feel are suitable. If you would like to create your own helicopter photo albums in the members area, you many subscribe by clicking the button below. This will allow you to build your own unique galleries and upload your pictures. There is a small charge of �9.95 per quarter (3 months) for membership. Please allow up to 24 hours for your account to be activated. Last changed on 02/09/2007. This album contains 16 items. This album has been viewed 4773 times since 06/25/2005. Upload your Cockpit Photos Here! Last changed on 05/11/2008. This album contains 12 items. This album has been viewed 3412 times since 03/15/2006. This gallery is a collection of images shot around the world in my travels for Heli Ops magazine. Images will be added to this gallery reguarly after each photo shoot so keep checking back to look for new additions. Last changed on 01/16/2007. This album contains 29 items. This album has been viewed 7234 times since 06/25/2005. Meet-ups, get-together and visits involving the members of HeliTorque! Last changed on 12/19/2007. This album contains 7 items. This album has been viewed 2723 times since 06/12/2005. Helicopter Exhibitions, Events, Competitions and Airshows around the world. Last changed on 05/02/2007. This album contains 10 items. This album has been viewed 2630 times since 06/12/2005. This is where members can create their own photo albums. To create albums in this section and upload your own photographs, you must subscribe. You will then have access to the many features of the Photo Gallery. Last changed on 08/05/2007. This album contains 6 items. This album has been viewed 2688 times since 06/06/2005. 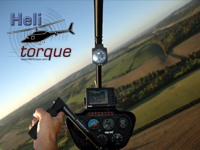 This album contains all the entries in the initial Heli Torque / Heli Ops Photo Competition. Last changed on 01/23/2008. This album contains 6 items. This album has been viewed 6277 times since 08/21/2005. This album contains all the entries in the 2006 Heli Torque / Heli Ops Photo Competition. Last changed on 01/22/2007. This album contains 3 items. This album has been viewed 4510 times since 01/09/2006.